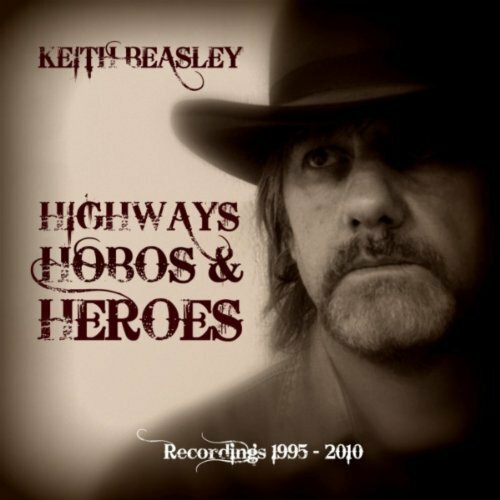 “Money Tree” is a song written, performed and recorded by Keith Beasley (with the help of some good ol’ friends) back in 2005. With some hearty slugs of very fuzzy guitar — this wearily rambles off — like a limping bum — who has just been shaken back-to-life after a particularly uncomfortable night beneath the sidewalk. Keith’s vocal is suitably dry and dusty. A bar-room piano chortles on the saloon boards. Then we get to a yearning chorus. It’s sing-along sentimental. But it all makes sense. Here is cut-price Traveling Wilburys… With the inflection (but not the poetry) of Dylan. Pleasant country rock from one of our (Staines) favourite performers. But why it is shot in Camden? Maybe only the bum knows.